An Englishwoman named Laura Plummer is in jail in Egypt on suspicion of drug trafficking 290 tramadol tablets. The tablets (available on prescription in the UK) were found in her suitcase when it was examined at Hurghada international airport on Egypt's Red Sea coast on October 9. She's reported to have been given them by a colleague to treat her Egyptian husband's sore back and has said that she had "no idea" they were illegal in the country. 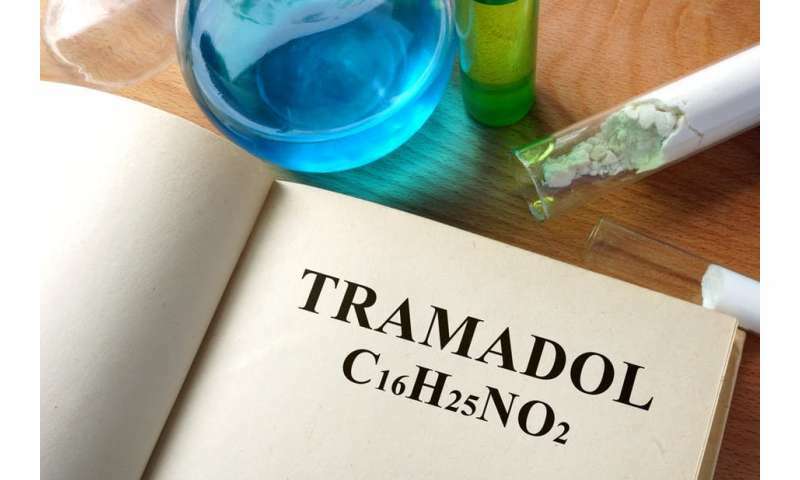 So what is tramadol and why are the Egyptian authorities so concerned? Tramadol, which does not occur in nature, was first synthesised in 1962 by chemists at the German pharmaceutical company Grünenthal as a painkiller. The company became notorious 50 years ago as the firm that marketed thalidomide, which when taken by pregnant women as a sedative and treatment for "morning sickness" led to the birth of thousands of children with malformed or missing limbs. Tramadol is an entirely different drug but there is a real possibility of taking a lethal overdose. Patents were taken out on tramadol in 1972 and it was brought to market in 1977. The drug is recognised as a painkiller with a potency around 10% that of morphine and it is used to treat moderate to severe acute and chronic pain. Like morphine, it works by binding to the mu-opioid receptor found in the brain and in other regions of the body, stopping pain messages from getting through. It inhibits re-uptake of the neurotransmitter messenger molecules norepinephrine (noradrenalin) and serotonin and also has antidepressant and anti-anxiety properties. 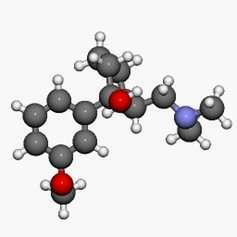 In the body, tramadol is metabolised into a number of different molecules, the most important of which is O-desmethyltramadol; this binds much more strongly to the mu-opioid receptor than tramadol does, making it more potent than the parent compound. So tramadol is really a pro-drug, a molecule that is converted by the body's metabolism into the pharmacologically active drug. Perhaps not surprisingly, tramadol has reared its head in sport. After he retired in 2012, the professional cyclist Michael Barry wrote in his autobiography, Shadows on the Road, that he'd used tramadol while cycling in the Sky team. He took tramadol (which after all is a legal painkiller in most countries) when he broke his ribs in a crash. He said that it alleviated the pain, made him feel "slightly euphoric" and reckoned that he could push harder than usual when on it. Because of concerns about the use and abuse of painkillers in sport there have been calls for WADA, the World Anti-Doping Agency, to prohibit the use of tramadol (like many steroids, EPO, amphetamines and other stimulants) and put it on its prohibited list, but currently it remains on their list of medications whose use is monitored, such as caffeine, nicotine, codeine and certain others. A research programme is being run to see if tramadol confers advantages upon sportsmen. Painkiller abuse and addiction is a major problem in the US, where events have moved on from the days when heroin was the drug of choice that killed rock stars such as Jim Morrison and Janis Joplin. Now, it is prescription painkillers, such as oxycodone (in its formulation as OxyContin, "hillbilly heroin") and fentanyl (which killed Prince) which are proving lethal in the wrong hands. Tramadol's first 20 years on sale were unspectacular and it was not until around the time that it was introduced onto the US market in the 1990s that addiction started to be a problem. This has now spread to the Far East, including China, as well as much of Africa. It is widely abused in Cameroon, for example, where it is even fed to cattle to enable them to plough in the hottest weather. Because of this consumption by humans and animals, excreted tramadol (and its metabolites) can be present in soil in some parts of the Cameroon so that it is taken up by plants. At one stage, this led scientists to believe that it occurred naturally in the pincushion tree – although it has subsequently been shown that plants are incapable of producing it. Egypt has a particular problem with tramadol. It is a prescription drug in the UK and a Schedule IV controlled substance in the US, but in Egypt, any opioid, including tramadol and codeine, is a controlled substance. Consequently, bringing it into the country without prior permission, especially in large quantities (Laura Plummer had 290 tablets), will land you in trouble. The Egyptian authorities have come down hard on people in possession of significant amounts of tramadol, and the courts dish out stiff punishments – possibly even the death penalty. Nevertheless, tramadol is popular in Egypt and is misused widely. Indeed, besides it being a recreational drug, many people – especially from the poor working class – take tramadol to give them more energy, to work for longer or to hold down two jobs. It has been a particularly serious problem in places such as Gaza, where addiction has led to an illegal trade in tramadol, often smuggled in through underground tunnels. This has led the government to take a particularly hard line on it. So if you are going to take drugs abroad, even your own medications, you should check carefully how they are viewed at your destination. A legal drug in one country could lead to a very long prison sentence – or even worse – in another.